One two ounce opaque bottle w/flip top lid, two ounces synthetic urine, one hand warmer, and one instruction sheet. 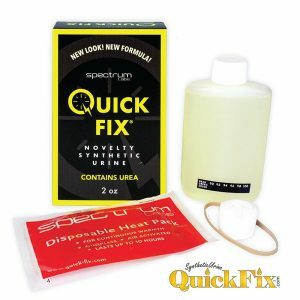 This is a complete Quick Fix 6.2 synthetic urine kit factory sealed with a confirmed batch. Synthetic urine bottle holder fits comfortably. This neoprene urine belt will fot both sizes of Quick Fix 6.2 synthetic urine samples snugly against the body while maintaining the correct temperature. 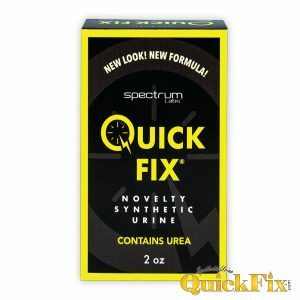 The Quick Fix 6.2 plus is the most popular urine kit on planet earth. The 3oz formula is premixed with urea and is ready to go at moments notice. 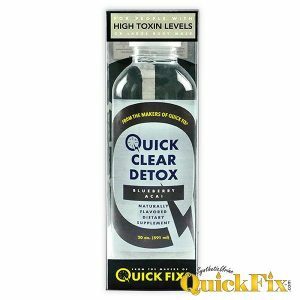 Quick Fix plus has a 2 year shelf life from the time of manufacturing. 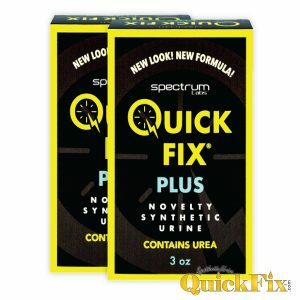 Two 2oz synthetic urine kits factory sealed. All batches shipped are guaranteed valid and pre tested in a lab enviroment. Two three ounce opaque bottle w/flip top lid, two ounces synthetic urine, one hand warmer, and one instruction sheet. 3 – two ounce opaque bottle w/flip top lid, two ounces synthetic urine, one hand warmer, and one instruction sheet. 3 – three ounce opaque bottle w/flip top lid, two ounces synthetic urine, one hand warmer, and one instruction sheet. 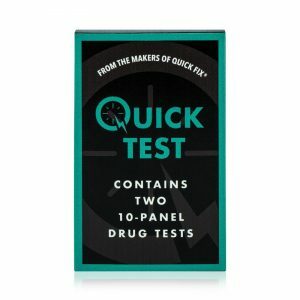 Quick Test provides you with a reliable, quality way to test urine for 10 common drugs of abuse in the privacy of your own home. 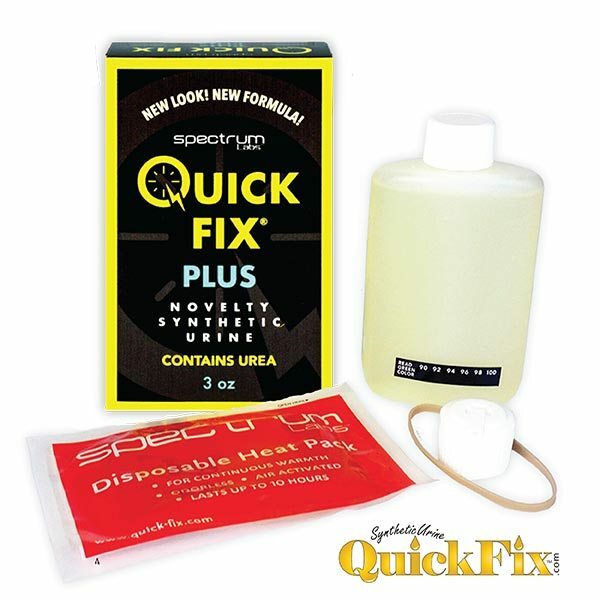 This kit includes everything you need to get accurate drug test results within minutes. 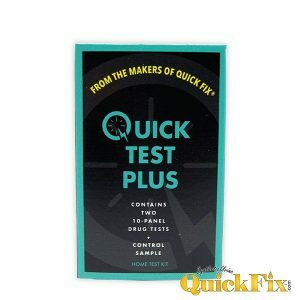 Quick Test Plus contains two 10 panel drug test kits with a clean urine sample to test the strips for accuracy. Quick Test Plus gives a guaranteed accurate result in minutes. We ship by FedEx anywhere in the United States Monday through Saturday. Orders placed before 3pm Pacific Time ship same day. For more information visit our shipping info page. International shipping is not available when checking out, but we do ship internationally. 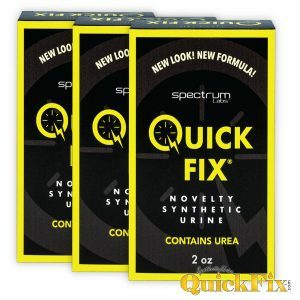 To place your order email us info@syntheticurinequickfix.com or call toll free during normal business hours. Billing is discrete and will reflect as Quick Fix, LLC of California on your credit card statement. Returns must be submitted within 10 days of purchase date and must be accompanied by a claim form. There are no refunds on unopened products. If you are a company or vendor and would like to find out more about wholesale opportunities visit our contact page. You must reference and agree to our terms and conditions for use regarding our website. By using this website you are fully agreeing to our terms and conditions agreement. All users information is kept completely confidential according to state and federal privacy laws. Your information is used solely for enhancing your user experience at our website. More info click here. 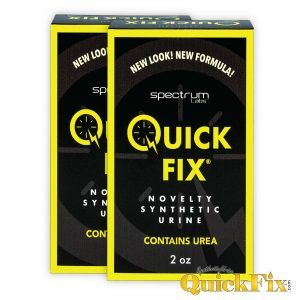 Does Quick Fix Synthetic Urine Work? Don't let a wild weekend ruin your week. Snag a Quick Fix today and avoid that unnecessary stress today! 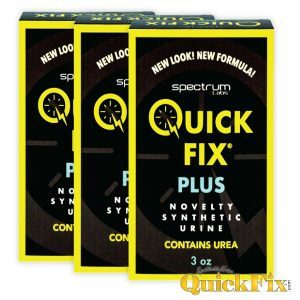 © SyntheticUrineQuickfix.com - 2018. All Rights Reserved. 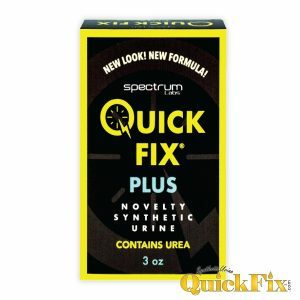 Spectrum Labs is the exclusive owner of the Quick Fix trademark, and use of the Quick Fix trademark in its domain name is with the express written permission of Spectrum Labs. Please use responsibly. These products are not intended to be used on lawfully administered drug tests and are to be used in accordance with all federal and state laws.